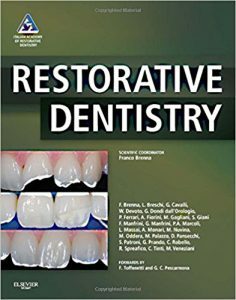 With more than 2,080 vibrant, full-color clinical photographs, Restorative Dentistry presents the Italian Academy of Conservative Dentistry’s authoritative coverage of endodontics, cosmetics, prosthodontics, traumatology, and general operative principles with unparalleled visual detail. This atlas-style resource guides you step-by-step through essential procedures and presents realistic case scenarios to help you deepen your understanding of restorative principles and successfully apply your knowledge to patient treatment. More than 2,200 world-class photographs provide rich clinical detail to enhance your understanding of commonly encountered conditions. Step-by-step procedures in each chapter are integrated with interesting case studies to clarify techniques and help you confidently apply concepts in the clinical setting. Summary boxes provide fast access to key chapter content. Clinical approach reflects the trusted expertise of the Accademia Italiana di Conservativa (Italian Academy of Conservative Dentistry) and familiarizes you with the latest scientific research and treatment techniques.